I love him; he’s a great man. I’m sure most of you have heard from your grandparents that if you grew up back in the day they lived in that you would appreciate the things you have a whole lot more. We’ve all heard “I had to walk to school barefoot in the snow for miles…” or “all we had to eat was an old chicken that momma went out to ring the neck on.” Those things we’re very true if you grew in the Great Depression in the South. I heard all of these plus many more. However instead of it coming from my grandparents, it was my dad. Daddy was 49 years old when I was born. He always told me growing up that he had a late start in life. It took the Lord to shake him up to turn him from alcoholism, cigarette smoking, and chasing women days. He joined the military when he was 16 years old. They required you to be 18 but he was desperate to help his own parents and siblings to have money for food so he told a lie to get enlisted. So off to the war he went. Could you imagine being a 16-year-old boy going away from home and into the unknown in the military? God Bless him! Some of the stories he tells about the consentration camps send chills down my spine while others are some of the greatest adventures that have ever been told. You’ve heard “They just don’t make them like they used to” right? He is one of kind for sure as you will hear about how much I love him; he’s a great man. We were a family of 6 or I should say six plus. Dad and mom basically raised my two other cousins most of the time and we also had the neighborhood boys coming over. Dad worked two jobs to put food on the table and anyone who has raised teenage boys knows that they can eat a lot! They would drive 50 miles one way out to the commissary on base to get groceries once a month because it was tax-free. It must have been a nightmare taking six kids each with their own basket. It was routine for dad to give us a spanking in front of everyone in the store when we would accidentally run over the back of his heels with the cart. There wasn’t any waiting to get home; it was discipline right then. It is not the way that I would have handled the situation with my own kids but I love him; he’s a great man. We had one of those old upright pianos that were severely out of tune that I used to go bang on all the time. So dad, NOT ME, decided that I needed to start taking piano lessons. So he found a teacher that gave lessons at $5.00 for 30 minutes. I’m not sure why she said 30 minutes because every lesson turned into 2 hours of writing notes and playing until my fingers and eyes had crossed. I hated to go and hated to practice even more. I remember once my brothers took a remote control car while I was practicing and wound it up in the back of my hair. Oh my they were mean boys! But anyhow, dad would tell me if I had to give him any attitude about practicing that he would record it on tape and play it back to the teacher so she could hear. Now who does that? He said “Someday you’ll thank me for all of this!” And of course anyone who has heard me play today certainly knows that I have thanked him many times since I’m blessed by being able to sight-read anything you put in front of me. It is certainly not how I plan to go about it with my own children but I love him; he’s a great man. Later on my teacher had to move and we had to find another teacher. Dad found a sweet heart close to our home that was interested in helping out. The more I advanced with music the stricter daddy became. He would go to every lesson and sit down and critique every note. I would beg my mother to be the one to take me. I could have played Chopin’s greatest masterpiece almost perfect. But daddy could pin point when I missed that one note and the exact time my timing was off; he’s not even a pianist! Matter of fact he is missing a finger where he was horsing around on a barbwire fence. His entire focus would go on that one note! Forget all the work that had been done previously to get to that point. Mom always says “If you are looking for a compliment from your daddy then you can forget it.” That may have stood to be true but I sure was determined to please him anyhow. Once there was a time that when we were leaving lessons my teacher’s grandson had just witnessed a very embarrassing moment of failure on my part and he said to his grandma, “boy Grandma, I sure do feel sorry for the person who marries that girl!” Little did he know that he would he would be that boy. I still tease him about it to this day and so does my daddy. Those days were tough growing pains and daddy was harder than most but I love him; and he’s a great man. Growing in the teen years only got a lot harder. I found myself trying to rebel against daddy rules. He wanted me to be a good girl, presentable, modest, and polite. He also wanted to make sure that I did not have any friends especially boy friends that could influence me in doing anything wrong. It is funny now but at the time it was not when a boy that I liked called our house to talk to me. Daddy answered the phone and once he realized it was for me he started interrogating the poor fellow on what his intentions was of wanting to talk his precious daughter. Needless to say the phone never got to me and ended with dad telling him “Don’t you ever call my daughter again, she is not interested in you and you have no business talking to her!” Well, there went that one for sure. That poor guy would not even look my way in the hall at school. Over and over again things like this would happen and I knew daddy ruled his house with an iron fist. Many times I felt like crawling in a hold from embarrassment but what can I say but I love him; he’s a great man. There was no staying out late past 10:00 because there was no going out in the first place unless mom could go with me. When I finally was able to go out I had to call every hour to let him know my exact whereabouts. It it was not beneath him to come looking for me either. So after a while we started really butting heads. To many rules and too much pressure to follow was my motto. I got to the point where I thought dad was more of a drill sergeant. Unfortunately I started talking back when I should have listened. That was when my problems began. Our relationship became a proving ground. The road I chose to travel became a road of destruction and regret. Isn’t that how we do when we decide to take our own path and choose to get out of the will of our Heavenly Father? So eventually I had to crawl back to dad to pull me out of the rut I was in. I had a chip on my shoulder, a bad attitude, and I thought I knew everthing. So when I got married and had to move away in my mind I could not leave soon enough to get away from my home. I had just finished packing up my cars to get ready to go be with my husband who was still on deployment at the time. It was late and I was ready to crawl into bed. Dad came knocking on my door and said “Are you ready to go”? I was thinking yeah… to bed. I said, “What do you mean dad”? He said, “We are leaving tonight so get your stuff and let’s go”. NO WAY ARE YOU KIDDING ME!!!! “Dad for real, I have been working all day and have had zero amount of sleep and there is no way that I can drive tonight”!!! Anyone who knows my dad has to know that you don’t tell him No. So 22 hours later from Arkansas to Virginia in the cold while it was raining away we went. I was terrilbiy sleep deprived, and don’t think the 20 minute freezing cold cat nap I had at that rest area was anywhere near a hotel. Oh my!!!! I never talk about this trip or I still get fired up. IT WAS THE WORST TRIP OF MY LIFE!!!! I had never been out of state by myself in my life. Dad gets me to my destination at midnight and unpacks the car in the parking lot and says, “Bye!” “THAT’S IT?” I’m screaming, “DAD YOU CAN’T LEAVE ME HERE BY MYSELF!” I was terrified and exhausted and the tears were freezing to my face. He said to me, “You’re independent now… sink or swim!” My dear brother finally stood up and said “Dad, I love you but I love her too and am not going to do this to her.” Thank God my angel came through. Have you ever been so tired in your life and so mad that sleep would not come? It was horrible when we finally got to a hotel that all I could do is listen to them snore while I was wide-awake and terrified where my life was about to lead to. That morning when they got up there was only a brief goodbye. They were rested and ready to get back to their lives and I was ready to move forward and begin mine. And as I stared solemnly at their car as they slowly pulled away I could see tears running down my dads face. It was a very surreal moment in my life. And you may not really comprehend my feelings that I had but I knew then just how much I love him; he’s a great man. I want to tell you, God began a work with dad and I. Those hurt feeling were slowly being healed. He helped me countless hours with my baby and often times cooked dinner and came to clean my house. We still picked at each other but you know what? I had to realize that daddy was just that way and he was a born fighter. And his every intention with me was to help me succeed in this life. That is all he ever had done his whole life was fight for the greater good. He has mastered the art of getting under your skin and bringing the worst out in you to somehow make you mad enough to do better. Sometimes I think we would argue just so we would not miss each other. I can think of millions of things he has said that makes me annoyed. Like…. “Don’t want to go to church? 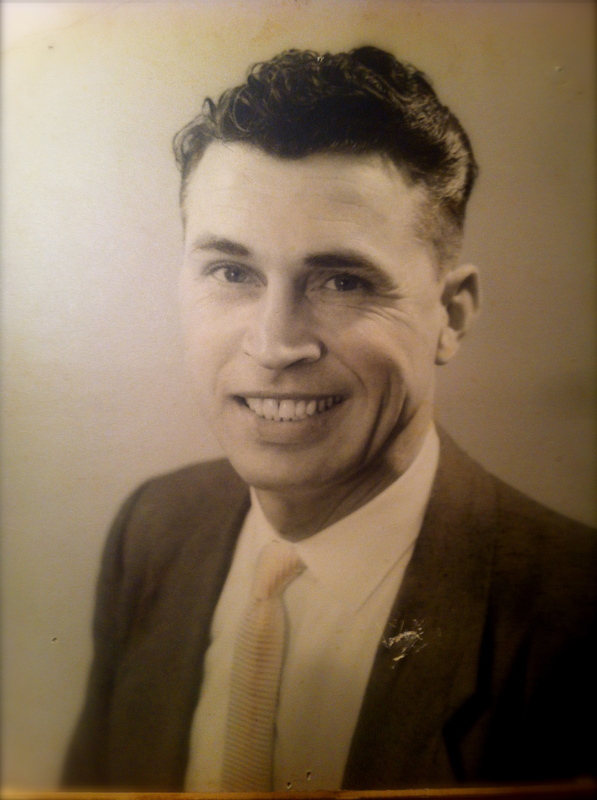 Hope you’re not left behind some day when the Lord comes!” Come on Dad…. Uggg….. Or the all time famous “Go ahead then, when your out there in a ditch somewhere where someone has knocked you in the head, then don’t come cry to daddy.” Mike always says to me “If you are just quite and agree with him you will be the one who wins.” But I can’t do that I’m one of those who wants the last word!!! Mike also says to me, “You are just two peas in a pod.” I guess the apple didn’t fall to far from the tree because every day I find myself becoming more like my him and even saying some of the funny sayings to my own kids. Dad would drive two hours when I would start on my way home just so he could be with me that much sooner. He has driven all night just to come care for Mike, me, or the kids when we were sick. Once he drove hours in the middle of the night when it was pouring down rain to meet us when our car broke down in a corn patch somewhere in South Arkansas. He wanted to make sure we were safe. He still tries to come help in my house just so that I could get some extra rest and helps me with the girls. He has sat many hours telling me about what men really want from their wives and how I could be a better person to others. He has taught me the value of prayer and has given me the true fear of God. He is the most giving man you could ever meet. No other man that I have ever met in my entire life had worked as hard as he does. We have laughed together and cried together. There was never a day that he did not make breakfast for us before we went to school or have a hot dinner when we walked in the door. He has always provided for his family and loved our mother. He has gone above and beyond what any normal dad would do for his family. And his children respect and love him. Yes, he was hard. Yes, he was strict. Yes, made a lot of people mad at the way he chose to discipline. But I tell you the truth. It all worked out to our own benfit. It has been the best blessing of my life to get to move back here close to him and hammer out our hardships. He has really enjoyed getting to know his grandbabies. 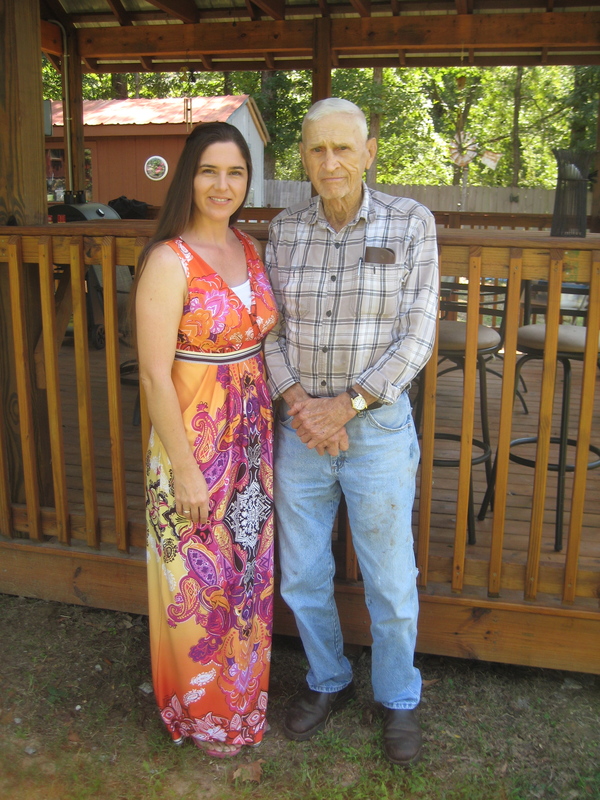 Now my daddy is 84 years old and is starting to become a lot more frail. I’m soon to be leaving with my husband to our next duty station with the Navy. Our hearts breaking nowing that we will not get to see him everyday like we do now. We thought just a few weeks ago that we would lose him with his close call of a heart attack. My husband and I along with our family just prayed hard knowing that he was near deaths doors crying out to the Lord “PLEASE… Lord just a little grace period… just a little more time with him to say more things and make more memories…. Lord, we don’t want to be without him, we love him; he’s a great man.” And God’s grace and mercy pulled dad out of that bed and breathed life in him once again. He has his bad days and sleeps most of the time, but at least he is still here.